James is an interdisciplinary modeler, studying the feedback between environmental and human systems, and focusing on the impacts of climate change and the water-energy-food nexus. He draws upon analytical and empirical approaches from multiple fields and develops computational and statistical models to understand integrated global challenges. 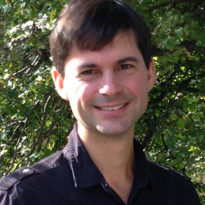 Prior to joining the Grantham Research Institute, James held postdoctoral positions at the Energy & Resources Group at UC Berkeley and the Energy Policy Institute at the University of Chicago. He received his Ph.D. from Columbia University’s program in Sustainable Development. He previously taught within MIT’s Experimental Study Group and at Franklin W. Olin College of Engineering. He has also had a career as a software developer, working with over a dozen companies on audio and video processing, social networks, and artificial intelligence.